What is the main skill that helps people build great rapport within minutes in any given situation, and particularly in a new business meeting? What is it that the best business leaders, salespeople or even rainmakers do that enables them to get what seems like instant engagement? It goes beyond their mere physical appearance or a sharp dress sense. While clothes may give you confidence they do not “maketh the man or woman”. What they all do is have a natural curiosity, and an ability with their questions so they don’t just learn and understand more about the other person, they actually start to develop and build trust. Think about an occasion when you have first met someone and it’s gone really well, and you’ve genuinely wanted to see them again. In short you have clicked. The chances are they asked you questions which showed they were interested in you, your thoughts, and what you do. So are these people blessed with an intrinsic magic gift of great questioning skills? Maybe. More importantly, can these skills be learnt and developed by anyone? Absolutely. Below I’ll look at some different types of questions beyond simple open and closed questions, and give some practical examples that you can hopefully use to start generating better conversations. The response here can give you a quick insight into the other person’s behavioural preference. If they say something like “fantastic”, it is likely they live in a highly optimistic world and see opportunity, not risk, in things. What you might describe as a glass half-full person. If their response is more measured, then they are likely to be less so and perhaps a bit more focused on the now than the future. As with all questions, listening to and understanding the response is key. For any of you who have read Hard Times by Charles Dickens, you’ll be able to appreciate that there is a lot more to understanding situations and people than you get from just cold hard facts. We’re complex creatures made up of a whole mixture of emotions. If you ask what we term “surface questions”, you will elicit facts. 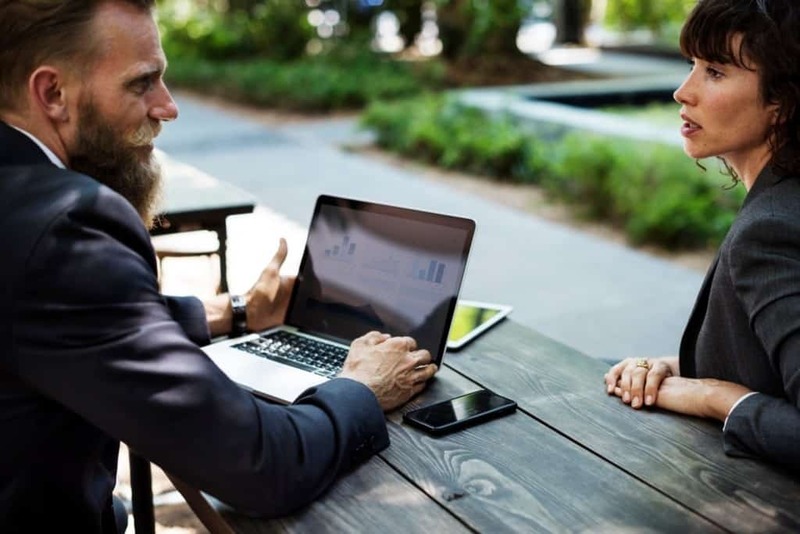 Of course, it is important to get some factual information, but too many surface questions can lead to a dull conversation that feels more like an interview or even an interrogation! As an example, if someone says they had a great weekend with the family and you then ask them “How many kids do you have?” “What are their ages?” “What are their names?” “What school do they go to?” etc, the answers you will get are bound to be limited surface information. What we term as “hunt questions” are questions that look for issues or challenges that the other person may have. Too many of these without exploring the issue further can make the other person feel like you are simply hunting for a problem which, “Surprise Surprise!”, you have the perfect solution for. There is also the classic question, meant well which is asked by many professionals: “What is your biggest challenge?” There is one major problem with asking a client or prospect about their challenges – and that is, that some of them won’t have any. So when you ask them about their challenges, you are actually giving them nightmares, and making them urgently want to leave the room. This can be particularly true of CEOs, which Keith Dugdale explains in much more detail this article which can be found here. The conversation is moving along but you’re stuck in one area. You might think that this is great as it’s in your area of expertise, but while it may be of interest to the person you are talking to, are you absolutely certain it’s the most important thing to them right now? Take a pause and check in on your assumption. When offering this adjustment to the conversation, give the other person time to think and you may find that you learn something very different and genuinely interesting. We call this an “adjust question”. This is when you help the person you are talking to imagine or think about a positive future. We call these “paint questions”. They can have a dramatic effect on the conversation and really help unlock the other person’s thinking. Firstly, this demonstrates that you care about the future of their business and want to understand more about it. Secondly, it helps them to think and reflect about the future, which is always valuable. Finally, through understanding this, you can continue the conversation to help your client prioritise their strategies to achieve this. Great chat, so what’s next? A common thread I’ve found over years of coaching and advising people is that they feel they had a good meeting, but they have no idea what the next stage is, or how to follow up. It can be as simple as they haven’t asked what the next steps are. We call these “engage questions” which help to uncover what the next steps are. To be clear, these aren’t hard sell sales questions such as: “Can I send you a proposal/credential statement?” That is a misguided or dare I even say silly question. This is because people are invariably polite and will say “yes”, and then never read the document you pour your heart and soul into. Rather ask them something simple like: “What do you see as the next steps?” Give them control and decide what the next stage in your relationship is. So, in summary, to have great meetings where the other person will want to contact you again, ask great questions. The really good news about these skills, is that they can be learnt and developed. It won’t come straight away but with continual practice it will undoubtedly improve. So if you’ve found these examples useful, start to practice them more and more. Reflect on the questions that have had the best impact in your conversations, and which haven’t. Have you got a comment, or a question for Ben? Join the conversation over on LinkedIn. Does your boss trust you?